← Where are you in line to the throne? 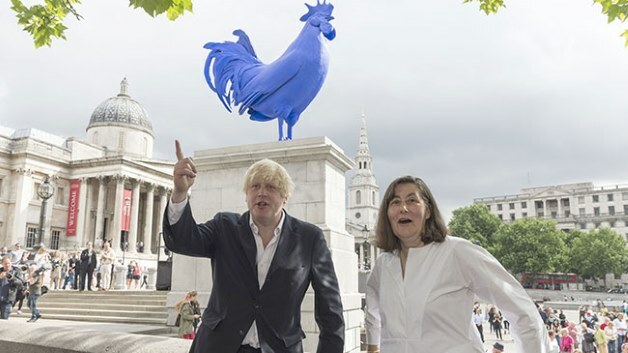 What’s 14 feet high, ultramarine blue and standing on the fourth plinth in Trafalgar Square? A giant cockerel, designed by German artist Katharina Fritsch! I kind of like how blue and bright it is! What do you think? Posted on 25, July 2013, in Art, News and tagged art, Boris Johnson, cockerel, Guardian, Katharina Fritsch, London, news, Trafalgar Square. Bookmark the permalink. 2 Comments.